The first fossils of a Brachiosaurus were found in what was then the Grand River Canyon (Colorado River) in 1903. 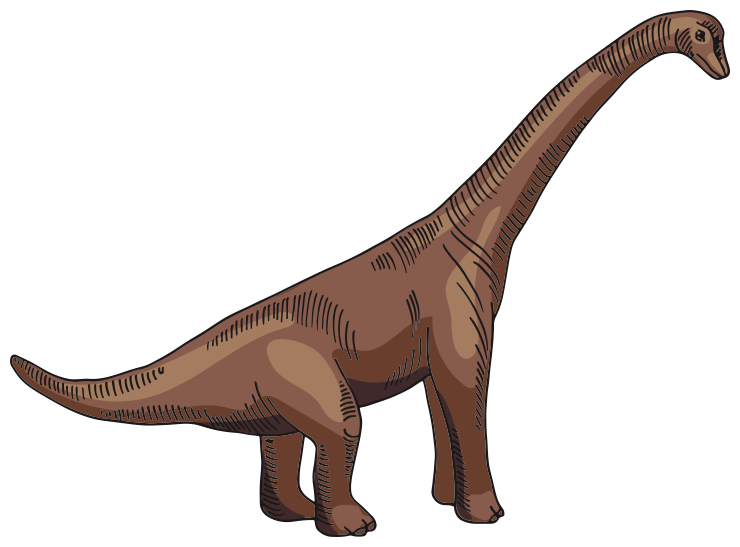 The long arms of the dinosaur earned it the name Brachiosaurus, and it was also considered the largest dinosaur. It was heavy, with a small skull and a long neck. The Brachiosaurus was a herbivore and lived in the late Jurassic, approximately 155-140 million years ago. It had longer front legs than hind legs, which made its trunk look bent.